I have been so busy lately and I feel like I have ADHD. I'm running around, not finishing one thing before beginning another. We're having a big 4th of July cookout at our house on Sunday and I'm trying so hard to get so much done in so little time. I'm sure you can relate. It's insanity I tell you! 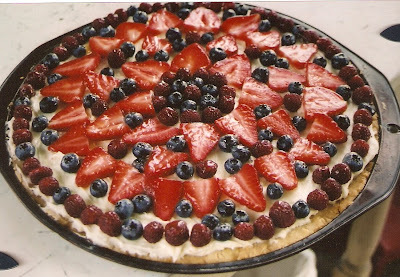 I thought I would share a few of my past 4th of July desserts with you. Now if I could only figure out what I'll be making this year, I'll be all set. Nothing like waiting until the last minute, huh? Next, the All-American dessert. Pound cake, jello, strawberries, Cool Whip. Light & tasty! Here's the Star-Spangled Trifle. Again, pound cake (this time cut into star shapes) with strawberries, raspberries & blueberries. Not to mention, vanilla pudding & real whipped cream. Definitely a favorite! 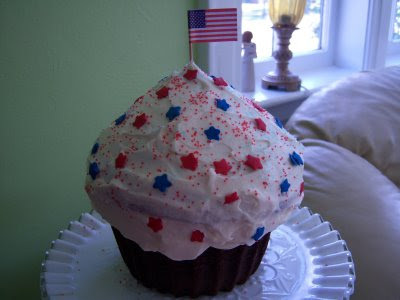 The cute, crowd-pleasing giant cupcake. Who doesn't love a chocolate cupcake? 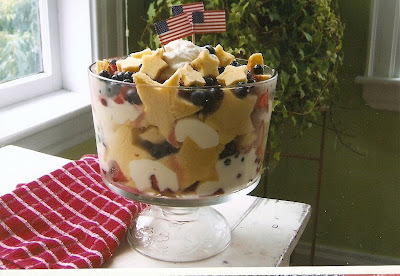 Well, I'm off to surf the web...gotta check out more 4th of July deliciousness! 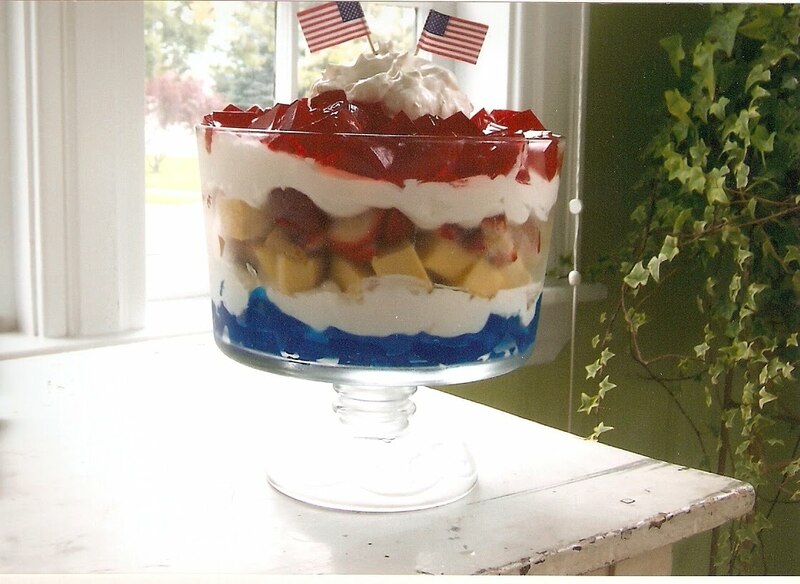 It all looks so yummy and very patriotic, let us know what you found to make! Yum! Hope you have a fantastic 4th! Oh yes, you have tempted me! Looks wonderful!